Sugar Honey are an experienced 6 piece wedding band based in Scotland. This popular function band consists male and female vocals, guitar, keys and a tight rhythm section. They are full of energy and fun and their experience and passion for music shines through. Sugar Honey are an amazing live band who know how to deliver a party. 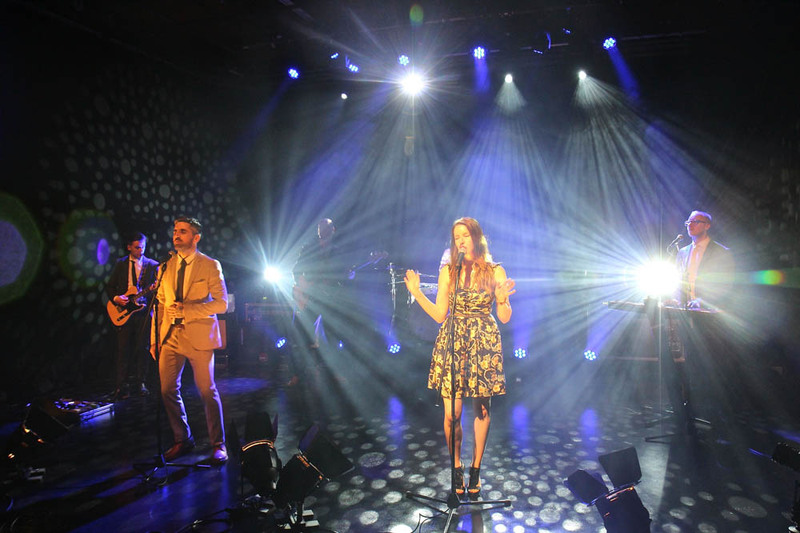 They have been performing together for several years and have an extensive and diverse set list which includes classic tunes from Whitney Houston, Deacon Blue, Dolly Parton, Abba and The Killers. They also play modern day hits from the likes of George Ezra, Jess Glynn, Clean Bandit and Ed Sheeran. Their experience in reading the crowd on the dance floor ensures that every taste is catered for on the night. They cover songs from the 50s right up to today and are the perfect band for weddings, events and parties. Sugar Honey have two amazingly talented vocalists which means this band can perform a never ending list of great tunes including pop, rock, soul, funk and disco. Sugar Honey cater for all ages and play songs from all genres including rock, pop, soul, funk, disco, indie and dance hits. Their set list includes The Killers, Justin Timberlake, George Ezra, Rihanna, Whitney Houston, The Beatles and many many more! You can be absolutely sure that guests of all ages will be up dancing and singing all night. Sugar Honey guarantee a busy dance floor. We can't thank Sugar Honey enough. Our dance floor was filled from beginning to end and the atmosphere was fantastic throughout our evening reception. From learning a couple of requested songs for our first dances to ironing out the finer details of the evening, the band were professional throughout and a pleasure to work with. We've had a lot of feedback from our guests to say how much they loved Sugar Honey and we would highly recommend them to anyone and everyone. Sugar Honey regularly perform at showcase events hosted by Music For Scotland in Glasgow and Edinburgh. We also perform at Finnegans Wake & Brewhemia in Edinburgh. Please get in touch to find out more.